In Iggillis Holdings Inc. v. Canada (National Revenue), 2018 FCA 51 (CanLII), a highly anticipated decision released earlier this month, the Federal Court of Appeal overturned a Federal Court decision which found that common interest privilege “is not a legitimate or acceptable application of solicitor-client privilege”. In Vancouver Airport Authority v. Commissioner of Competition, 2018 FCA 24, the Federal Court of Appeal denied the Commissioner of Competition a public interest class privilege over documents obtained during an investigation. The investigation related to the Airport Authority’s decision to allow only two in-flight caterers to operate at the Vancouver International Airport. The Commissioner alleged that the Airport Authority behaved in an anti-competitive manner, resulting in “higher prices, dampened innovation and lower service quality”. 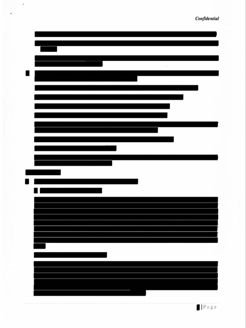 Earlier this month, the Ontario Superior Court of Justice reviewed the general principles applicable to the redaction of relevant documents. In Qaddoura et al. v. Walkom et al., 2018 ONSC 20, the defendants brought a motion to compel the plaintiff to answer undertakings and refusals given at her continued examination for discovery. eDiscovery, keyword searching and … Family Law? In a previous blog post “Estates in the Digital Age: Debunking E-Discovery Myths in Estate Litigation” we discussed the application of electronic evidence principles to estate litigation, and noted that electronic discovery principles are not limited to large scale commercial disputes. A recent Ontario Superior Court of Justice decision demonstrates, once again, that eDiscovery spans multiple areas of law. In an important decision for public bodies, a recent Information and Privacy Commissioner decision upheld a fee estimate for the search and redactions of electronic information.